I really like this design. One single string. I did run into one snag. I don't think the celllog 8s are happy with this config. This config sort of physically and logically locks to 3.2 72AH cells together so that they are seen as one single 3.2 142AH cells. At least from the perspective of the celllog 8s. The cellog8 has only a single negative/common lead. There is no way for it to differentiate one single cell. As you wire in each pair of cells ( - to + to - to +, etc) the celllog sees each pair of cells as one cell. I think I'm going to need to use individual cell monitors that have discreet negative and positive leads. LOL. Is this why you asked if I had already ordered the celllog 8s? LOL. No matter. This project is being viewed as a hobby. It's fun to learn. You are right, strapping the two cells together in parallel makes them into one cell as far as the outside world is concerned. It also means that the voltage of both cells in parallel are the same because they are tied together. Because of this you only need to measure the voltage of each pair of cells. So you wire the cellog 8 up with the minus going to the battery negative, 1 to the first pair of plus terminals, 2 to the second pair of plus terminals and so on. Got it. I was thinking of ordering individual monitors, but as you say, the cells will always be at the same voltage since they are strapped together, So why bother. I think I'll make that patch though. As much as I can tell from the photo and diagram at the other end of your link is that you just jumper D4 to D5. I guess one just ignores that yellow line from D4 to D3 and beyond. Would you concur? Yes, you just need a jumper between D4 and D5. A couple of small comments regarding the wiring of your battery. I can't see if you have any spring washers between the bolts and the interconnection straps. I think it is a good idea to have a spring washer and flat washer so that if the bolt does loosen slightly that there is still good pressure between the straps and the battery terminal. 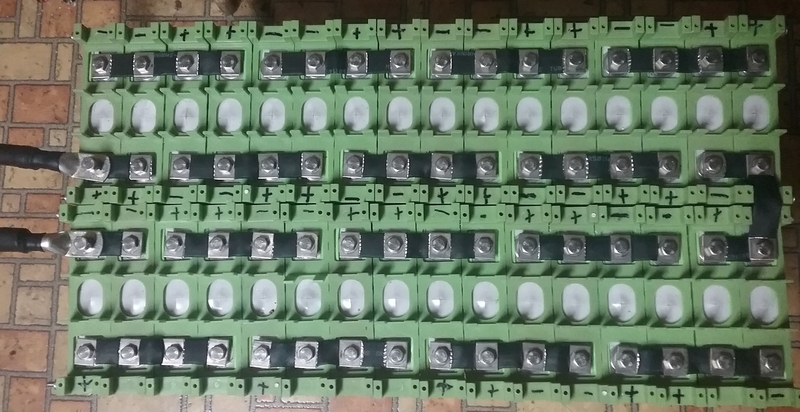 It is usually good practice to have the fuses/circuit breakers as close to the positive battery terminal as possible or to make sure that the positive and negative cables are kept well apart from each other until the other side of the fuses/circuit breakers. The reason for this is that if the cable insulation is damaged by maybe rats or something else or chemically breaks down and the cables are next to each other or in a common metal conduit, gland or share common metal cable clamps that the cable might short out on the unprotected section. I have not seen any cells that look like yours. Do you know who they were manufactured by? 1) Nice idea on the spring washers. Good spotting. 3) With the new config I was happy that the + and - cables are now adjacent to one another. And I tie wrapped them together. WHY? Because the Magnum inverter manual suggests it. It says it is less strain on the inverter (it may have been regarding capacitance. I cold check). 4) The cells came from electric car parts company (same place the balancers came from). I switch to this brand from the calbs at the last minute. They have a higher stated cycle life and I think were a bit cheaper. sales has had them in the wild for about a year with no returns. SO, how much stock do I put in those claims. Not a lot, but the batteries come with cell covers, and have 4 holes at the perimeter of each cell to pass threaded rod through and bind the array together. So I thought what the heck, give them a try. So far so good. They came well balanced from ECPC. I like the fact that the cells are in aluminium cases and nice plastic shells to go around them. Electric Car Parts have cells from quite a few different manufacturers which is good to see. Now we just have to wait to see which perform the best over time. I agree with you regarding counterfeit products. I don't think the one that I mentioned is a counterfeit. When you look look at the cost of the components that you would need to make a 200A DC SSR the cost seems about right. The company selling this has their own website and specialise in electronic equipment and have been selling on ebay since 2005. I will put my money where my mouth is and buy one of these and run some tests on it. The 200A SSR finally arrived and I finally got around to doing some tests on it. The one they sent did not have the "mager" brand marking, instead it was branded "MGR". Not an encouraging start. I hooked it in line with my inverter and measured the voltage across the switch with my inverted under load. From this I calculated the the On resistance of the switch to be ~2mOhm (.002 Ohms). With no heatsink the SSR is warm to touch with a load of 88A. Around 115A is around the limit without a heatsink. I ran it for several days with no problems. The SSR is rated at 60V, next test was to hook it up to 60V (actual test voltage 60.8V) while off for several days. Again it passed this test. There is a 400A version of this SSR which should have an On resistance around 1/4 of this SSR. Only gripe I have with this SSR is the terminal lugs. I made a copper adapter plate up with one big hole for my cable lug and three smaller holes for the SSR terminals. All Electronics is now selling a TE Connectivity relay (intended for EV's) for $39. 24VDC coil, contacts rated 500 amps 900 volts. (Cat # SOL-205.) Should be enough for almost any battery system. This will draw ~14W with the coil voltage at 24V. I am still looking into adding the spring washers. But I've had the bolts in and out of the cells quite a few times now with all the configuring and re-configuring. There's a bit of friction when tightening and loosing I want to lubricate the bolts next time they're out. In researching this a whole new world of varying opinions about lubing solar battery connections opens up. LOL Do you (or anyone) have a lubricant you can recommend that's worked well for you? There's a bit of friction when tightening and loosing I want to lubricate the bolts next time they're out. In researching this a whole new world of varying opinions about lubing solar battery connections opens up. Why do you want to lubricate? Friction is good and it keeps your connections tight. Contamination of contacts is bad; it increases contact resistance and leads to battery heating. You can see a photo of the cells earlier in this post. There is a copper loaded connector lube sold by mcmaster carr Looks to be close to the same thing in the amazon link, copper flake and grease. Here is another option for the grease which is available on Amazon. This is recommended by someone Mike knows. Looks good to me. I didn't put any lubricant on my battery terminals when I put it together but would do so now. I agree you have to be very careful not to get the aluminium from the cathode terminals of the LFP cells binding to the steel bolts which might damage the aluminium thread the next time you remove the bolt . The lubricant would stop this. From an electrical conductivity point of view the electrical contact between the screw thread and the terminal is not as important as the contact between the flat part of the cable lugs/interconnectors and the flat surface of the battery terminals. Make sure you mechanically remove any oxidation off the terminals and cable lugs/interconnectors so they are bright and shiny before you assemble the connection. This is a zinc plated wavy washer and I tried it first. After a few months I had to take my array apart, and found that the washers had lost most of their spring. I had the array apart a few weeks later and the washers were still springy. The tube is much bigger than it appears in the photo, so I clearly have a lifetime supply of conductive lube. I think the easiest way to wire up a 48V LFP battery with two cells in parallel is this. I had a very interesting and costly experience re-configuring my pack per this diagram. The idea of a single string of paired cells made total sense so I jumped on it. After configuring the cells to a single string I started having problems. I was monitoring pack voltage from my house and all looked well. But after a couple of days I walked into the power room housing the batteries and one of the CellLog meters -which were monitoring individual cell voltage- was beeping. Turned out the two of the cells had gone over voltage. Way over voltage. Well over 4 volts. WTF? How could only two cells -two cells that were paired in parallel- go high when all the other cells were normal voltage? Unsure of what had happened, but still trusting in @karrak 's diagram, I swapped in two new cells. The same thing happened - in the exact same place on the pack, and two new cells were shot. (I should have monitored closer but got distracted. My bad). For months the array has been offline while I beat my brains trying to sort out what could be going wrong. I checked the resistance on the bus bars for an anomalous reading but they were fine. Mystery! I finally recalled that at the time I had reconfigured the pack, one of the cells had the threads stripped out. I got a warranty replacement from ElectricCarParts.com and swapped in the new cell. Before connecting the array to loads or to the charge controller I balanced the cells to within 100mv. Since the existing cells were only a few months old and had cycled perhaps a few dozen times, I felt I had done enough. It was only after configuring the array back to the original two-string array -in a desperate attempt to nail down the issue- that I realized IT WAS THE NEW CELLS THAT WERE OVERCHARGING! Yikes. But I had balanced the pack before charging. Had the battery supplier changed the chemistry of the battery? It then occurred to me that, as with lead acid batteries, where voltage is not indicative of state-of-charge (SOC), could that be the same with Lithium-ion? In my months and months of research had I missed that one? To check on this notion I decided to BOTTOM balance the pack. What I had done before when swapping in the new cells was basically a top balance. Meaning, the cells were at 3.3v or so. So I drained the pack down to about 3v, and then bottom balanced so that each cell was the same voltage. That solved the problem. Upon charging the pack, all cell voltages remained within a reasonable tolerance. At full charge the new cells did not try and shoot the moon. The pack has been running for a few days -re-configured back to a single string- and no more issues with particular cells overcharging. So, do you currently have any cells in your pack that experienced over-voltage, or was the 4V still within spec of not ruining them ? No, I went through 4 cells before figuring out what was going on. They all are bulging at the seams so I assume they've had it. The cells have vents, but they still bloated. BUT, they did not catch on fire. It could always be worse. Thanks for sharing your bad experience. By you doing this we can all learn something. You should have your cell monitoring cell overvoltage alarm connected up to the solar controller to stop it charging in the event of any cell going overvoltage or have a relay of some sort to disconnect the solar panels from the controller if you can't signal the controller to stop charging. You cannot assume that a battery is top balanced with cell voltage of 3.3V. 3.3V is still in the flat part of the charge/discharge curve. The cell voltages have to be at least 3.45V and preferably 3.6V to see if your battery is top balanced. In my opinion cell balance should be better than 50mV and preferably around 20mV with current of less than than C/20 going into or out of the battery. If your battery is bottom balanced it is quite likely that it will not be balanced at the top unless all the cells have the same capacity. What are your charge controller settings at the moment, bulk/absorb voltage, float voltage, absorb time or terminate absorb end amps.? Are you using the cell balances you had? Dare I ask how much above 4 volts the cells were and was there any bulging of the cells or other physical damage. Very happy to see you are around. Very helpful list. Yes. I didn't mention in the update so as not to confuse. At first I thought they were the problem because I put them on shortly after reconfiguring the array. But later testing with them disconnected proved they were not the source. I used the balancers to perform the actual top, and later bottom, balancing. I see now given what you just said that I never really had the cells top balanced when I swapped in the first new cell. The balancers are behaving well in general. Here is a photo of 1 (of two) that I took during charging today. This is NOT at full charge, but as you see the cells are pretty close as the cells were charging. Regarding your point about the need to now balance, understood. But, I am thinking the balancers will carry that task out automatically. ?? The above photo is a shot of one of the bulging cells, but it is worse than that photo shows. A total of 2 cells bulged (the first two that were ignored for a couple of days. Two more cells went high, but they did not bulge. They were replaced on the basis that I didn't know if once they gone high voltage if they would then tend to do so again, compared to the other cells. And of course that was the problem I was trying to solve. Forgot to address that. My memory is hazy. The first time (first pair of cells) i think the reading was 4.8, or higher. Did not make a note of it though. Second time, the cells had not cooked as long. Just a few hours, topping at maybe 4v-4.2v. It was the 3rd time that I was sitting there babysitting the pack, configured back to original, when within 15 minutes two cells kissed 3.8 for a few seconds. It was then that I realized it was the two new fresh cells that were the two going high, and I pulled the plug. Those cells are still in the pack. LostinSpace said:What are your charge controller settings at the moment, bulk/absorb voltage, float voltage, absorb time or terminate absorb end amps.? Those setting will get you very close to 100% charged with very little margin for error. 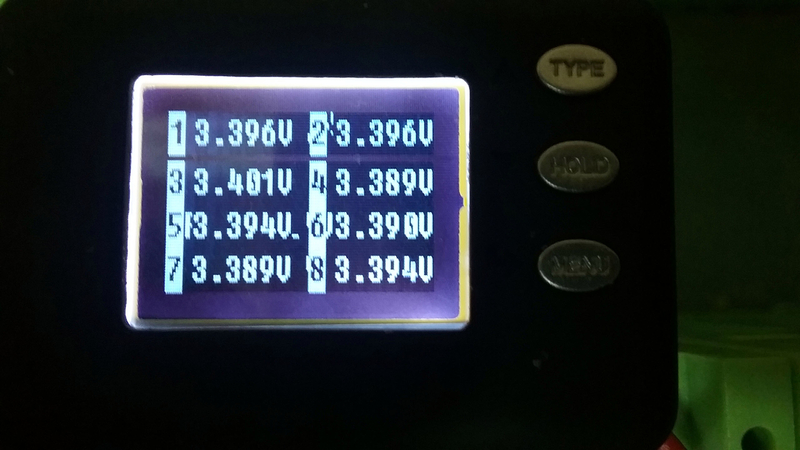 My charge controller settings are Bulk/Absorb = 26.6V(3.45V/cell), Float = 26.8V(3.35V/cell), End Amps = C/50. This charges my battery up to ~99% and floats it at ~98% until the sun goes down. This give some margin for error and might extend the battery lifespan. Can you wire the Cellog into the Wizzbang Jr. to stop the charger? The balancers will top balance your battery automatically as you say. Did you calibrate the cellog 8s? LostinSpace said:Forgot to address that. My memory is hazy. The first time (first pair of cells) i think the reading was 4.8, or higher. Did not make a note of it though. Second time, the cells had not cooked as long. Just a few hours, topping at maybe 4v-4.2v. 4.8V is very very bad! This shows how tolerant LFP batteries are to overvoltage. Anything above ~4.4V-4.5V starts breaking down the electrolyte. If these were LCO (lithium Cobalt) cells you could easily have had a fire. If the vent has not ruptured probably the only damage to the bulged cells will be some lost capacity. Would be interesting to do a capacity test on them to see how much capacity has been lost. 4.0V-4.2V is OK if it was not at this voltage for any length of time. 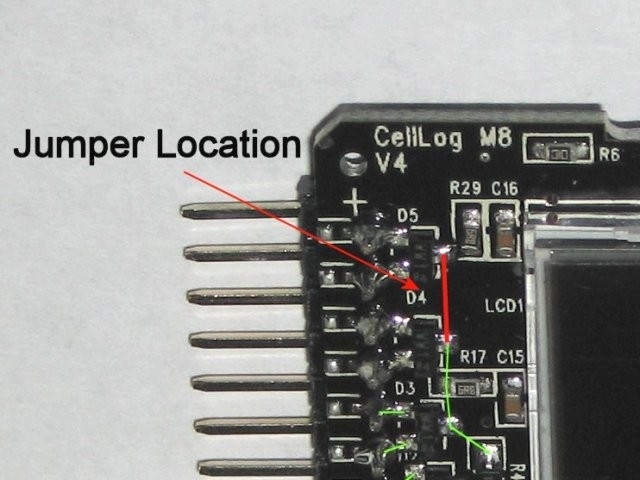 Do you have the cellogs with the USB plug that log data? If the vent has not ruptured probably the only damage to the bulged cells will be some lost capacity. Would be interesting to do a capacity test on them to see how much capacity has been lost. Cool. Vent is OK. Do you have a tried and true procedure to suggest for capacity testing? Or is it just a matter of charging the cell to a specific voltage, say 4.5 and placing a load on it, ans time who long it takes to get to..... what..... 3.0v? or lower? This is a rock I have not yet turned over. This would involve wiring 16 cells voltage output in parallel to a trigger circuit, connect to the charge controller. That sounds like a BMS. And, I need to see if the Midnite Classic/wizzbang will accept that input (or go to your suggested Plan . The folks in China who make the balancers have been super helpful. Even though they felt strongly that their balancers were not at fault. They market what the call a "PCB" over current device. I may take a look at that. I will iterate to a solution and then post my findings. Simon, I can't thank you enough for this input. No. I don't have a fluke, so I really don't have a good known reference meter to calibrate against. Sounds like that's gotta change. Oh. Wait. My neighbor has a Fluke. You never ever want to take an LFP cell to 4.5V!!!!!!! You should never need to take the voltage above 3.6V. Charge an LFP cell to 3.6V with an end current of C/50 and it is 100% full. Problem with placing a load across the cell is that the voltage is varying so the current will vary as well. There is also a chance to leave the load on for too long and damage the cell by overdischarging it. Better to use one of the hobby chargers to do the test. I used a Turnigy Reaktor 300W to do the charge discharge curves. Whoa! Sorry to hear you lost 4 cells. I do highly recommend top balancing your LFP bank for use with solar charging. Getting all the cells balanced at 3.55 to 3.6 volts on the initial balance is critical to having a bank that will stay closely balanced for a couple of years, and probably longer. Mine have been installed 20 months and are doing fine. It takes some effort and time to get all the cells where you want them, but it's worth it to have a trouble free bank that you don't have to worry about. Understanding how the absorb setting works with LFP is important. Let's say you set absorb to 55.2, that's 3.45 volts per cell. When the bank is near the end of absorb all the cells should be very close to 3.45 volts. With a 3.65 volt limit, you have 220 mV of headroom for safety against over voltage. It may not sound like much, but with cells moving out of balance at rate of about 15 mV per year, (your mileage may vary) I consider it plenty of headroom. (my experience with 195AH LFP cells) I used to have absorb set to 55.2, but dropped it to 54.8, which is 3.425 per cell. Even more room for safety. The lower you set the absorb voltage the longer it will take to charge the bank. So you may want to experiment to find what your comfortable with. I recommend starting out with 54.8 and change it later if you find a better setting. Incidentally, the end of absorb is the time to check cell voltages to make sure all is good with the bank. Another thing is that LFP cells age faster at higher voltages, (above float) so the less time spent there the better. Taking hours to balance a bank is is a necessity, but taking the cells to the end of absorb with EA set to 1 amp is unnecessary. In fact, finishing absorb is really not necessary. We just go there to get the bank charged up and reset the WB jr. so the SOC stays accurate. So a good way to shorten the time spent above float voltage is to set "end amps" high. A setting of 16 amps works for me, however you may want to play around with this setting. It comes down to longer life verses a little capacity. One more thing, once you have the cellogs calibrated with the Fluke, it might be a good idea to calibrate the Classic 150 also. Good stuff rick. Thanx for that. "Another thing is that LFP cells age faster at higher voltages, (above float) so the less time spent there the better. 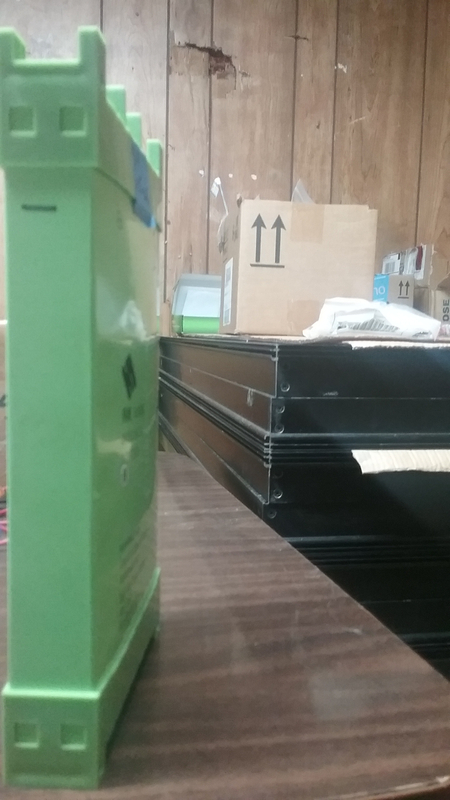 Taking hours to balance a bank is is a necessity, but taking the cells to the end of absorb with EA set to 1 amp is unnecessary"
The 1amp EA came from the battery spec sheet, so that is why I purchased the WBJ and set it accordingly. I understood everything you said, except I am a little hazy on how long the cells should stay in absorb, as well as this whole End Amps setting thing. Once the cells are at, say 3.45 (absorb setting of 55.2v), I am not clear why charging should continue at all. But apparently at that point, which as I understand it is the shift from constant current to constant voltage (bulk to absorb), the cells can still achieve a higher SOC over time. But when you say "In fact, finishing absorb is really not necessary", that kind of counter acts that previous sentence. If I use that 16A setting just as an example, then the WBJ is triggered to stop charging as soon as the current drops to 16A, rather than waiting for the current to drop to 1A. And by stopping sooner, there in lies the gain in life. Have I got that about right? The 1 amp EA setting recommended by the battery manufactures is based on using a BMS and charging the cells to 3.65 volts. Pushing the voltage up to 3.6 will activate the bleeder boards stopping the accent of the voltage on the higher cells until they all get to 3.6 volts. Then the BMS would stop the charger. My setting the absorb voltage lower and ending absorb with a higher amps setting which ends absorb a little sooner are things I do to increase cell longevity. The amount of time the bank will stay in absorb mainly depends on the charging amperage just like any other battery. When I stated that finishing absorb is not really necessary, I meant that the cells will not suffer any harmful effects from not completing the absorb charging phase. I don't always complete absorb, even on sunny days, because I load my system down during the daytime with A/C or water heating aside from the regular house loads, but I prefer to end absorb at least every 3 or 4 days to reset the WBJ and keep it honest with the SOC reading. Top balancing the cells is by far the hardest part of setting up a DIY LFP battery bank. After that they maintain their balance well and are both easy and amazing to use. After a few months I was even wondering what all the taboo and hoopla was about concerning balance and LPF battery banks. Make sure your neighbours Fluke is accurate to better than 5mV and is not too old or has been calibrated. 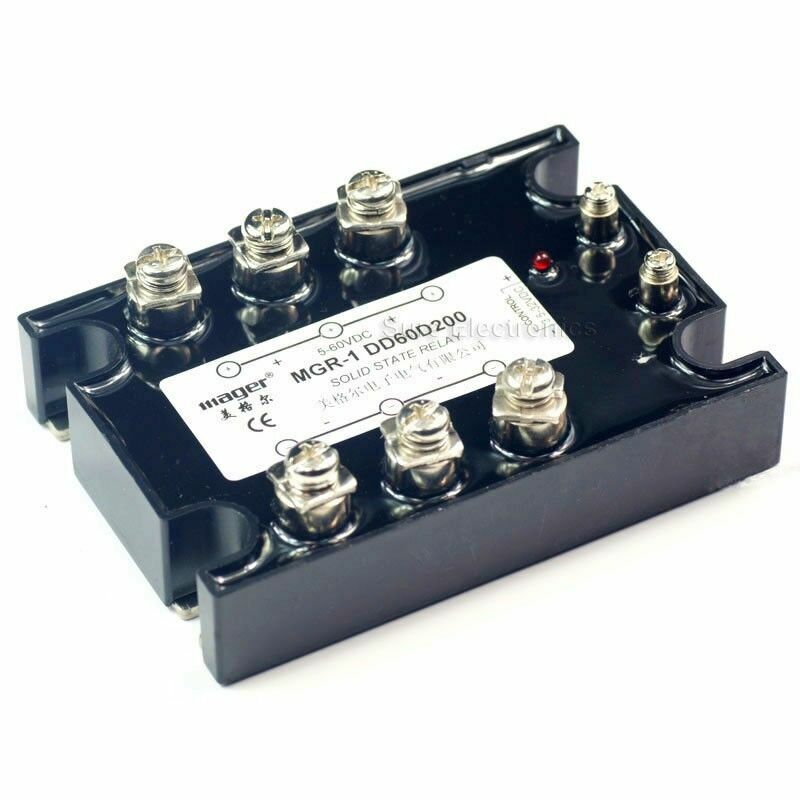 I use a Unit-t 61E which is accurate to 4mV at 4V. I have checked it with a calibrated voltage reference and it is 2mV out.